According to the AA, 95% of fleets are currently made up of diesel or petrol-fuelled vehicles. 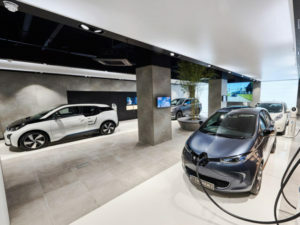 However, in five years’ time 63% of SMEs and businesses expect to be using alternative fuelled vehicles to meet their business needs and in accordance with new impositions such as the T-Charge in London, according to the second annual Operational Fleet Insight report produced collaboratively by the AA and BT’s Fleet Solutions. Due to their smaller fleet size, SMEs are increasingly worried that manufacturers aren’t always treating them as a priority when it comes to advice and support, the report found. Only 26% of SME fleet managers and decision-makers said their role involves focusing on long-term fleet strategy – for example a switchover to alternative fuelled vehicles – compared to 29% across all sectors, which has been attributed to a lack of expert fleet knowledge within small businesses. “As emissions reduction becomes a focus for the UK’s large cities, businesses are under pressure to future-proof their fleets to ensure they comply with any future targets,” said Stuart Thomas, head of fleet services and SME at the AA. “Fleet managers feel required to investigate alternative fuel sources, but they may not have enough information to make strategic decisions, or feel supported by the industry to take an informed step forward.